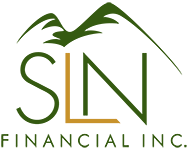 March 1, 2017 - Tax Benefits of Life Insurance and Annuities | SLN Financial, Inc.
Life insurance policies and annuities can be a helpful tool for providing extra protection and income for yourself and your family. But, you can also receive deeper benefits thanks to certain tax advantages that each investment offers. Here are some common ways that life insurance and annuities provide you with tax benefits. Permanent life insurance policies can grow their cash value on a tax-deferred basis. As a result, the money you’ve invested can grow without any immediate tax liability on your end. Further, unlike many other types of income, your life insurance earnings typically do not contribute to increasing the taxes you may pay on your Social Security income. When you purchase a life insurance policy, you name beneficiaries who would inherit your policy’s benefits once you or your spouse pass away. Once this happens, the policy’s death benefit will transfer to your named beneficiaries. When this transaction happens, your loved ones are able to receive this payment without paying any income tax— no matter if the death benefit is $75,000 or $5 million. As a policyholder, you’re able to tap into the cash value of your permanent life insurance to withdraw funds, if you have the value available. When you do so, you can generally withdraw the money tax free — but there is a catch. The withdrawal is only tax free on an amount up to the “basis” that you have in the plan, which is the premium payments you have deposited into your policy. Once you take out money above your basis, then the funds can be taxed like ordinary income. As an annuities holder, you’re able to make contributions to your investments with no annual limits — and the money compounds with a tax-deferred status. But when purchasing these items, you need to account for taxes differently depending on the annuity you bought. You can buy qualified annuities with pre-tax dollars, and your original contribution is tax deductible. Meanwhile, you purchase non-qualified annuities with post-tax dollars, so they are not tax deductible. Overall, once you start taking withdrawals from you annuities, you will have to pay an ordinary income tax on these earnings. But, once your annuity's value is below the amount of your original investment, your liabilities change and your withdrawals will be tax free. The tax benefits and strategies across your life insurance, annuities, and other investments are specific to your unique needs and goals. And knowing how tax details apply to your investments and long-term objectives require thoughtful planning in every life stage. To explore your tax strategies with your life insurance policies and annuities, contact us [INSERT NUMBER] any time. We’re happy to help you find the answers you need to make the most of your financial journey.